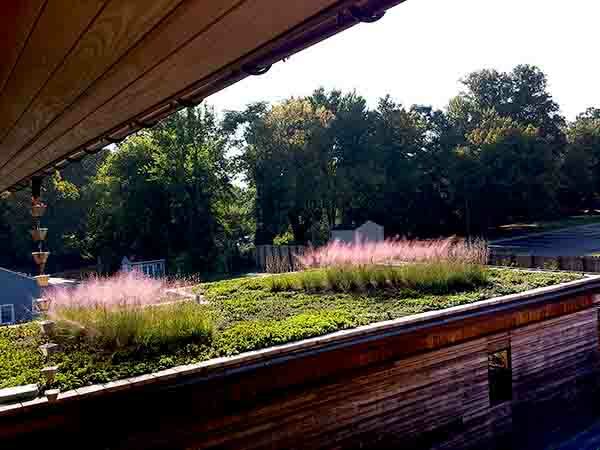 Durham Residence 2 | residential | Living Roofs Inc.
A hybrid green roof for a new home. 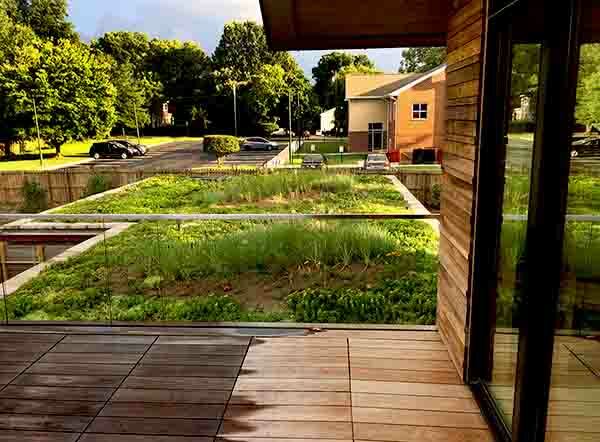 The green roof is one of many sustainable features at this single family residence. There are solar panels on top of the carport and local materials were used throughout the house. 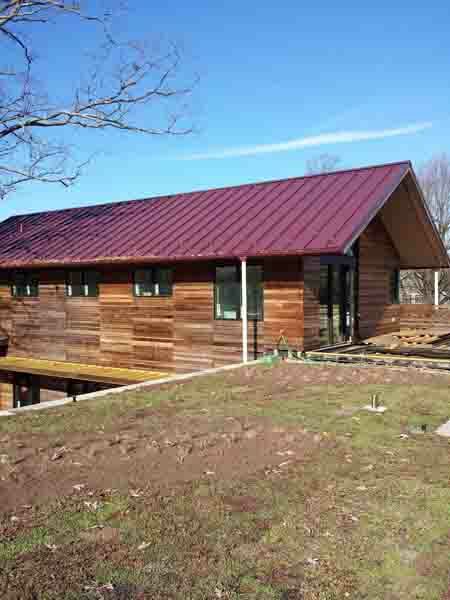 The green roof is installed off a deck and is visible from many areas of the house. A combination of pre-vegetated Xero Flor mats and areas of deeper soil support a mix of native perennials and grasses.